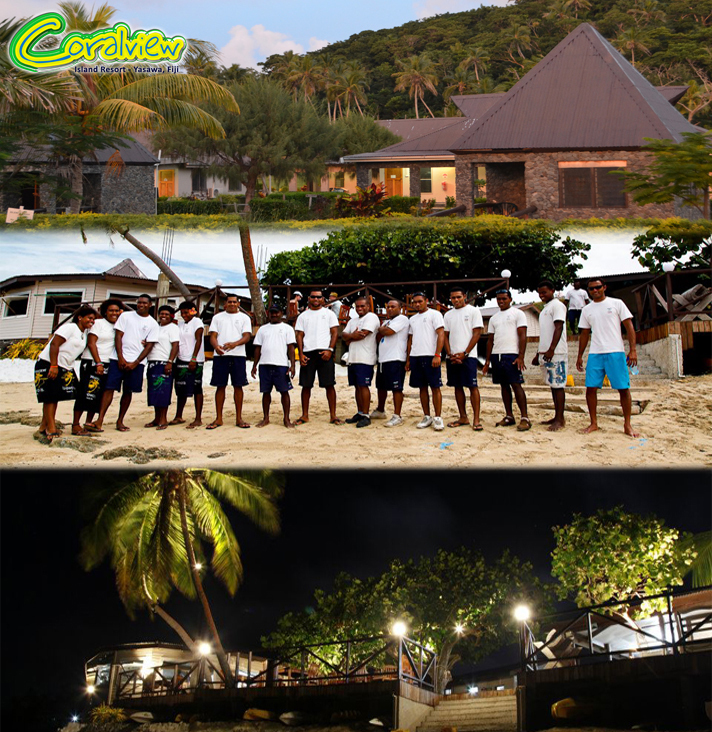 Coralview Island Resort offers both Bure & Dorm Accommodation. Accommodation packages include three delicious meals per day at our beach front restaurant serving a Fijian inspired menu using fresh local produce. Not forgetting free afternoon tea and coffee served daily! Spacious bures & large air-conditioned dorms on beachfront and also garden settings. As for bures, our bures have high ceiling fans, mini bar fridges, double/single beddings, coffee & tea making facilities provided om requests. Our dorms tower over the beautiful bures from the gardens whilst enjoying the ocean view from Coralview shoreline across to Nacula.We have a fully licensed bar serving wines, spirits, beers and cocktails and full evening entertainment program.